Met Eireann have now upgraded their rainfall advisory to Orange for the following areas: Wicklow, Galway, Cork, Kerry and Waterford. 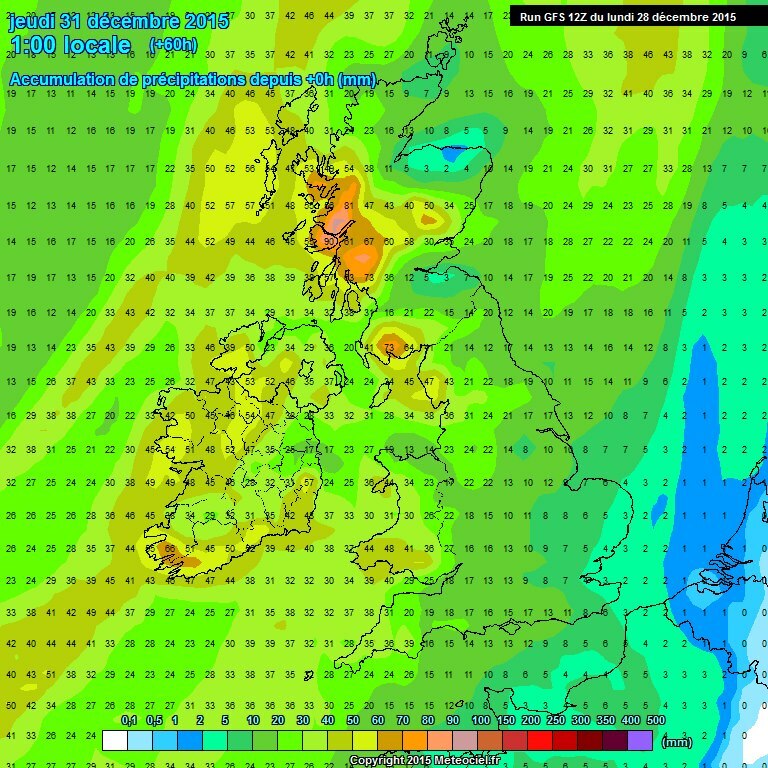 Rainfall totals of 40 to 70 mm over 24 hours between Tuesday midday and Wednesday midday. This will lead to widespread localised flooding in many prone flood risk areas of these counties. Wicklow Weather advise during a small window of opportunity in the morning to do some quick DIY and tie down loose garden materials/fittings etc, unblock roadside drains . Those living near rivers should heed all advisories. They should be able to contact councils for sandbags and importantly essential travel only from lunchtime onwards through to lunchtime on Wednesday. Remember to keep away from coastal cliffs and walkways.